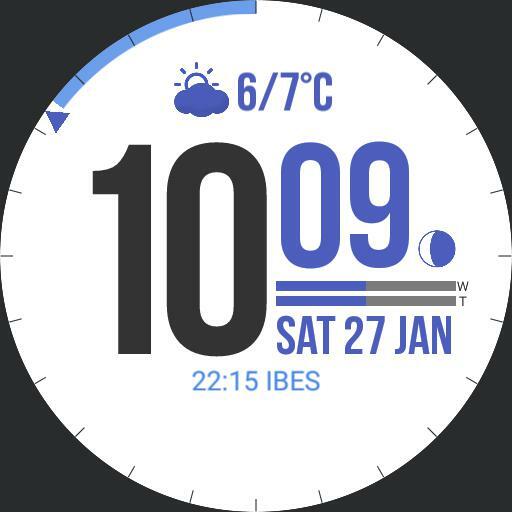 A round watch face displaying the next three agenda items. The upcoming and current appointments are also visualized at the watch border. The triangle shows the current time. Dimmed mode displays less information on a dark watch face while the bright mode uses a white background for better readability in sun light. After sunset, the bright screen is also dimmed.